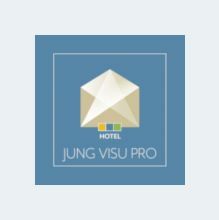 JUNG Visu Pro, as the successor to the Facility Pilot, is the professional software solution for visualisation and control of building automation. 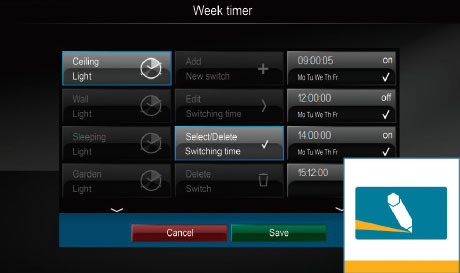 Multiple, independent KNX systems can be included and managed conveniently at the same time. The visualisation can be individually customised. Integration of different systems in the visualisation. Configuration of process models with KNX and OPC data. 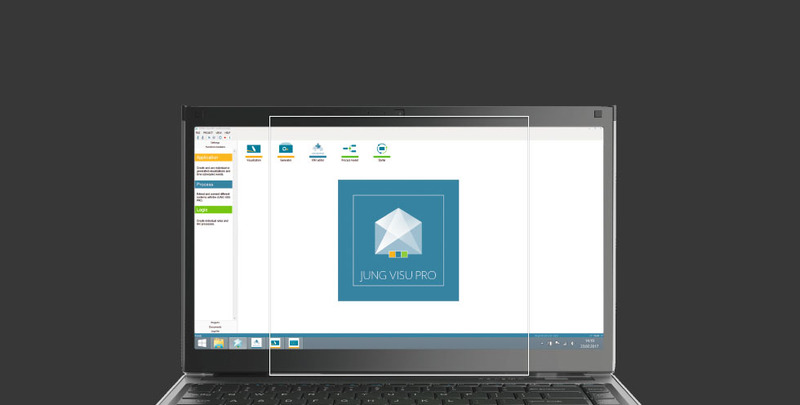 The JUNG Visu Pro software is a versatile system without data point limitation. Thus it is also perfectly suitable for complex applications in the private and commercial areas. In particular, the option to include multiple independent KNX systems parallel in one process model via KNXnet / IP protocol creates comprehensive possibilities for property-spanning projects. 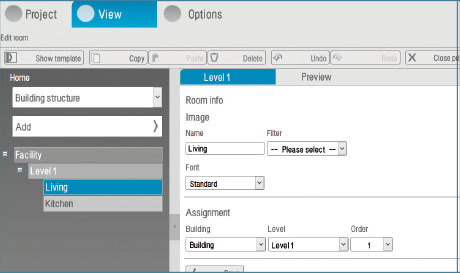 The Visu Pro software can be displayed using all HTML5-capable browsers. This of course also includes mobile devices. 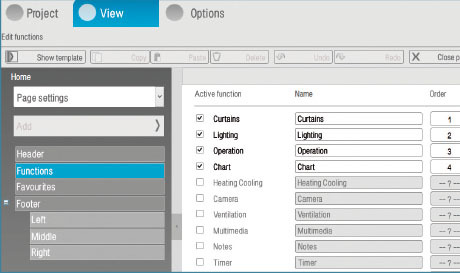 The Visu Pro Software consists of various function modules. Each clearly handles one task. 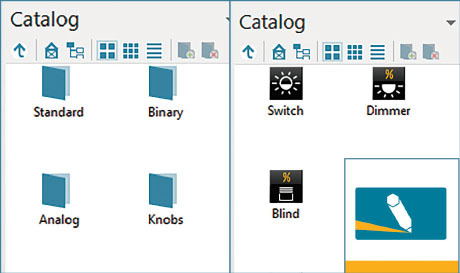 The well-known modules / editors from Facility Pilot for creating the visualisation have been optimised and simplified with respect to their use and graphical display. HTML5 visualisations are created consistently, thus guaranteeing the representation on different types of device. For this purpose, the control library has been significantly extended with HTML5 elements. The HTML5 controls can be placed freely on the worksheets. The optics of the controls can be completely customised. The JUNG symbol set is supplied as a library in black and white. Alongside form factor, transparency and background image can be set, as well as separate views. In addition, individual symbols can also be imported and used appropriately. The process model is the logical core of the system. Process connections are integrated here, logics, time functions and scenes defined and charts produced. Special functions can be implemented here with process interfaces. System integrators with knowledge of LUA can independently program functions, including the communication with third party systems via TCP or UDP protocol ­­ (e.g. devices from consumer electronics). To create JUNG interfaces, the system integrator can fall back on the Smart Assistant for automatic generation and thus minimise the creation effort. Visualisations can thus be prepared based on templates supplied. 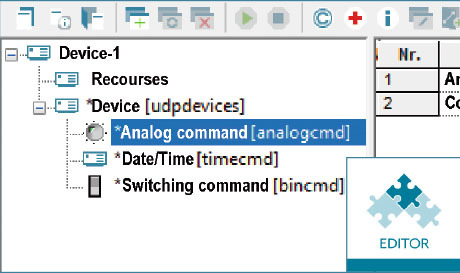 First, functions, timer switches and scenes are selected from a tabular list and added to the individual project. These can be linked with each other as appropriate if required. 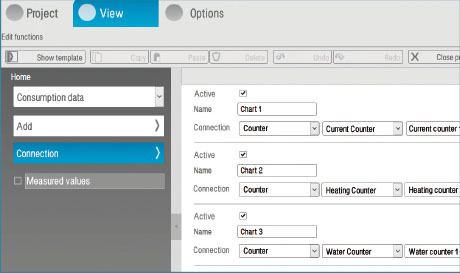 With the production of a consumption data chart, the settings for recording various consumers are made, such as for electricity, water and gas. The visualisation of the consumption data check is then automatically generated from this. Afterwards, the building structure can be produced based on the floors and rooms, in each case with individual names. 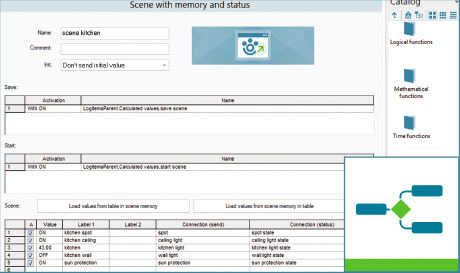 The previously configured functions and scenes can be allocated as appropriate and thus transferred to the visualisation.